Looking to improve the thermal comfort and energy efficiency of your project, reducing energy costs for your client or future tenant? External Thermal Insulation (ETI) systems provide the energy efficiency your building requires while responding to increasingly rigorous thermal building standards and norms worldwide. By adopting a sealed exterior layer of insulation, ETI systems allow for less expensive retrofits and renovations of older buildings while also offering a cost-effective insulation solution for new buildings and homes. For any architect, whether embarking on an entirely new project or looking to renovate an existing building, energy efficient insulation is a priority. City governments and private organizations are looking increasingly to buildings that respond to environmental norms such as LEED, BREEAM or ABCD+. External Thermal Insulation (ETI) systems answer that call by being designed to meet thermal performance requirements like 2012TR (France) as well as future demands for zero net energy and positive energy construction. Why use an ETI system? Thermal bridges are the main culprit of thermal transfer across a building’s walls, drastically increasing heating and cooling costs. 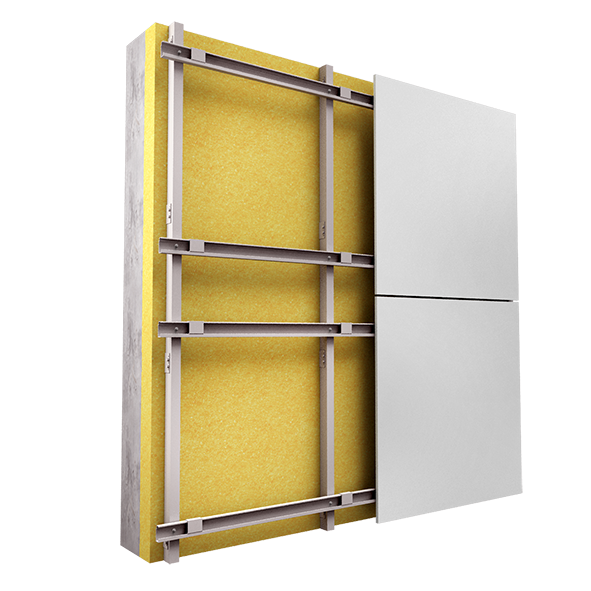 ETI systems (in renovation or new construction) offer the ability to cut down on these zones of thermal waste by placing insulation on the outside of existing walls. The perfect barrier against the elements, ETI systems retain heat and insulate against sound, as well as protecting buildings from moisture and expelling condensation. In ETI systems the load transfer comes from the outside, towards the structure, which adds additional resilience. An ETI building’s outer wall temperature and ambient indoor temperatures align much closer, ensuring greater comfort as well as lower heating and cooling costs. Convection is also reduced thanks to the limitation of thermal bridges. External insulation also traps heat during the summer, protecting interior living spaces and providing cooler temperatures even during heat waves. ETI systems provide the ability to efficiently insulate a building while also upgrading its exterior look and design with a range of colors and textures. Minimal disruption to existing inhabitants. Ideal of renovation and restoration projects, ETI systems allow undisrupted occupation of public or private housing and office buildings. Limited supplemental work. With exterior insulation systems, plumbing and electric systems do not need to be displaced, ensuring a more efficient and cost-effective retrofit. Responds to environmental norms, both current and future. By not only increasing thermal efficiency and comfort, but also reducing humidity and better protecting buildings, ETI systems respond to a whole host of environmental regulations. Lower maintenance costs. Exterior facades provide protection while greatly minimizing the need for maintenance later in a building’s life. Visually appealing: External finishes are available in a range of textures and colors so you can choose the perfect combination for maximum aesthetic appeal - modernising your home while ensuring its efficiency. Typical of older ETI solutions, it is well known for its ease of installation and as a cost effective option. Offering the largest range of choices in terms of colors and textures for an extensive range of material types. Chosen mainly as a more cost effective solution, it also offers a large range of colors and textures. Often used in respect of local architectural norms, with materials such as brick a dominant choice in double wall construction. Made typically out of precast architectonic concrete elements, this is an option used for larger buildings where larger installation costs can be diffused. Our Ductal® UHPC rainscreen cladding solutions fit into ETI systems to provide an elegant, durable solution to protect and green buildings. Once linked with our rainscreen cladding solution, your ETI system will gain all the benefits of Ductal® ultra-high performance concrete (UHPC): durable, cost-effective panels that can be customized to fit with your design. Functional, resistant and aesthetically unique: ETI systems completed with our rainscreen cladding solution ensure long lasting environmental efficiency. Discover North American technical specs for Ductal®’s rainscreen cladding panels and see how they offer aesthetics and durability to create unique projects.